The Fashion Law Blog Turns TWO Today! Posted: May 19, 2016 | Author: Fashion Industry Law Blog | Filed under: General / Musings | Tags: blog, blogiversary, fashion, fashion law | Comments Off on The Fashion Law Blog Turns TWO Today! Wow, time does fly fast! THE FASHION INDUSTRY LAW BLOG IS CELEBRATING TWO YEARS! On May 19, 2014, our Fashion Practice launched The Fashion Industry Law Blog. Two years and 72 posts later, we are widely read and re-posted. We hope you have signed up to receive our posts in your inbox automatically as they are published* or have visited our site from time-to-time. During the last two years, we have published posts related to copyrights and trademarks, licensing, real estate, labor and employment and notable cases of interest to the fashion and luxury goods communities. We have also published posts classified as “general musings” — light commentary about the goings-on in fashion that may be hip, trendy or controversial. We will continue to share timely posts targeted to designers, senior executives, entrepreneurs, in-house counsel, fashionistas and fashionistos. We would be nothing without our readership, so, “Thank you” from all of us who have shared our thinking with you in these past two busy and exciting years for the fashion industry. Please consider sharing The Fashion Industry Law Blog with those in the industry and others who may enjoy it. *To receive our blog posts in your inbox as they are published, please enter your e-mail address in the box that appears under Get New Posts By Email located in the right sidebar, and press the “Follow” button. You will receive a confirmation of your request in your inbox at that address shortly thereafter. 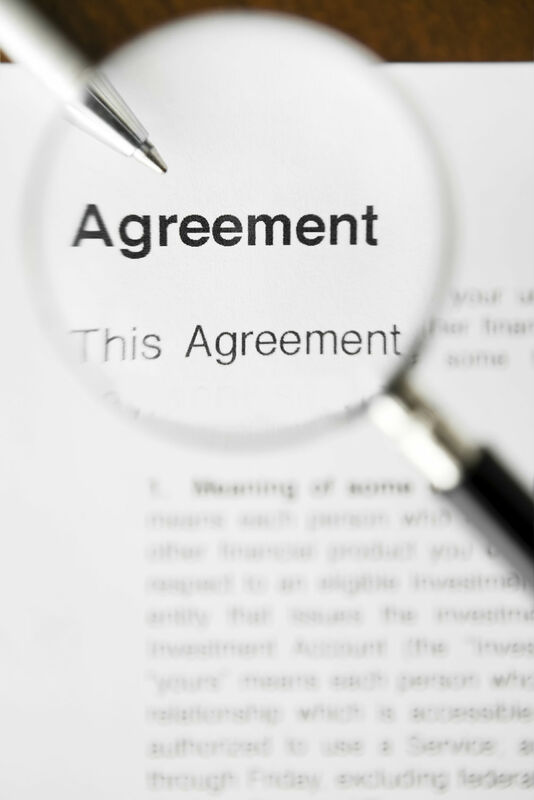 During the course of negotiating a license agreement, a licensee may propose certain changes that may appear logical and reasonable. However, a licensor should be on the lookout for seemingly innocuous proposals that could impede its ability to operate its business. How much time does a licensee actually need, particularly considering that, for a seasonal business with a typical December 31 contract year/term end, sell-off actually could be starting as early as September? While selling off prior seasons’ inventory should not seriously compete with a new licensee’s business and while closeout accounts may be the only meaningful customers for closeouts, it cannot be good for the licensor’s brand or the new licensee’s business if the former licensee’s products, whether or not they include “basics,” are being offered to the new licensee’s regular customers at the same time that the new licensee’s business is being launched. “I would like an option to renew the license agreement.” While renewal options are quite common, and sometimes may even be offered by a licensor, accepting some common licensee complaints can have unintended consequences. “The conditions for renewal are not objective.” As noted in an earlier post, a licensee will want only objective standards when it comes to the conditions it will have to satisfy in order to exercise its option. However, is it unreasonable for a licensor to be able stop doing business with a licensee that, while not technically having defaulted in its obligations, has been a terrible partner and exceedingly difficult to deal with? “I would like a right of first refusal for additional products or countries or trademarks.” A right of first refusal, in effect, requires the licensor to make a deal with a prospective third party licensee and then offer the current licensee the right to match it. There is not much chance that a prospective licensee will be willing to devote the time and expense of negotiating a license agreement in these circumstances. If pressed, giving the existing licensee a first right to try to make a deal with the licensor – a right of first negotiation – is a better, and reasonable, alternative. “I want more countries in my licensed territory.” If a prospective licensee can demonstrate the wherewithal to properly exploit the proposed additional countries, the inclusion of the additional countries is often just a question of business judgment. (There may, however, be legal considerations to be addressed in the license agreement depending on the status of the licensor’s trademark rights in the additional countries.) If additional countries are included, though, a licensor should retain the right to take back countries that the licensee does not exploit adequately; and any such reversion right must be carefully drafted, particularly to take into account that getting back a few countries in a region may not be of any real value to the licensor. (What potential new licensee is going to be interested in a license for a few scattered Asian or European countries if the existing licensee retains the major markets in the region?) A possible compromise here might allow the licensee to keep the entire region if it is appropriately exploiting the major markets in the region, but to lose the entire region if it is not. Posted: May 19, 2014 | Author: Fashion Industry Law Blog | Filed under: Accessories, Childrenswear, General / Musings, Intellectual Property, Menswear, Womenswear | Tags: brands, designers, fashion law, manufacturers, retailers | Comments Off on Fashion: It is a business.